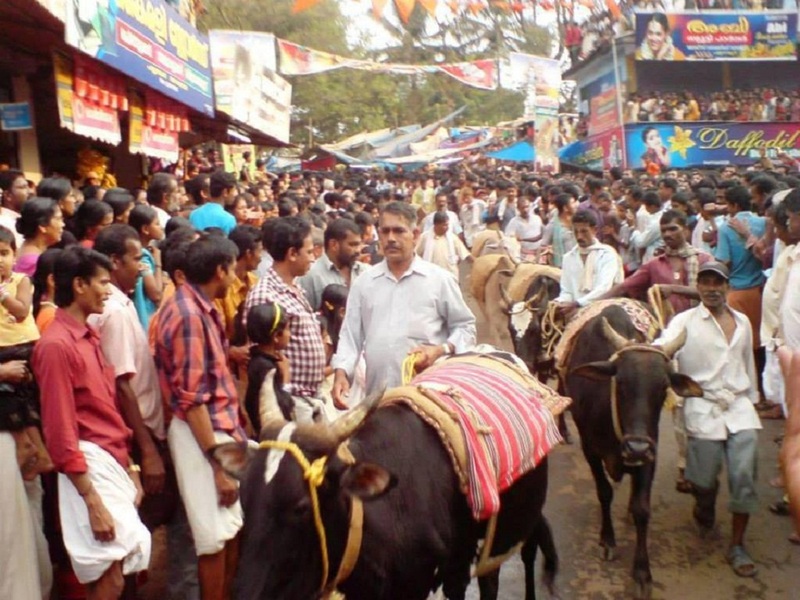 Payyavoor Shiva Temple, located in Kannur is famous for the annual Oottu Festival (Oottu Utsavam). The presiding deity of the temple is Lord Shiva, as the son of Kiratha (hunter). The annual festival commences on Kumbha Sankramam will last for 13 days (30th Makaram to 12th Kumbham, correspondingly on Mid February). 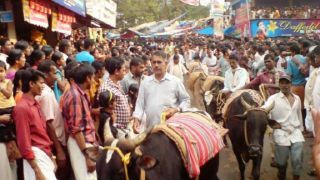 It is the festival for the people of Kodagu (in Karnataka), Kannur and Kasaragod districts. 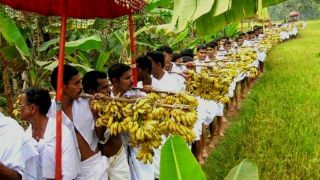 There are so many rituals and customs associated with this festival. It is said that the material for Panthal (thatched roof made of dried coconut leaves) is given by the people of Chooliyadu. 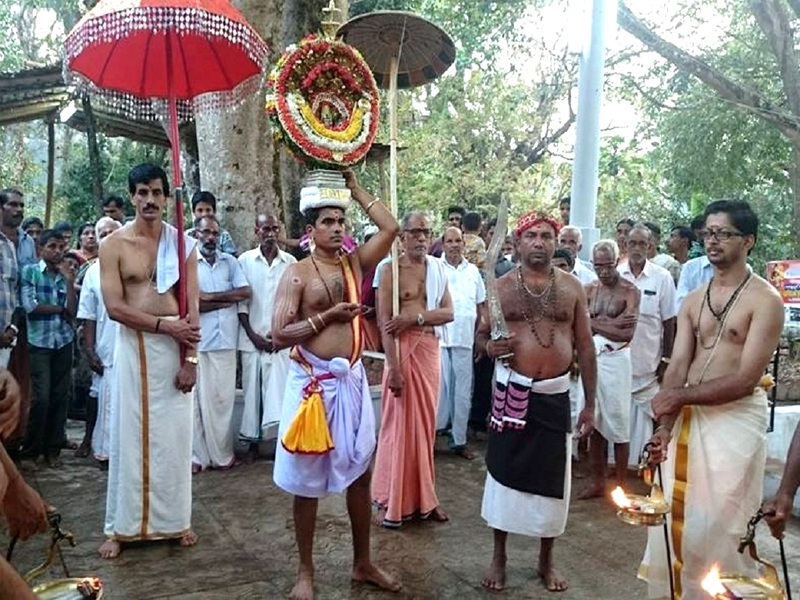 One of the interesting rituals is the Kaalavaravu, the transportation of rice on the back of bullocks as an offering, Oottu Kazhcha, to Lord Shiva is brought by the farmers of Kodagu. Oottu Kazhcha offerings by devotees from different parts to the temple will be done on different days during the festival. Another interesting ritual held as part of Oottu festival is the Omanakazhcha offering. 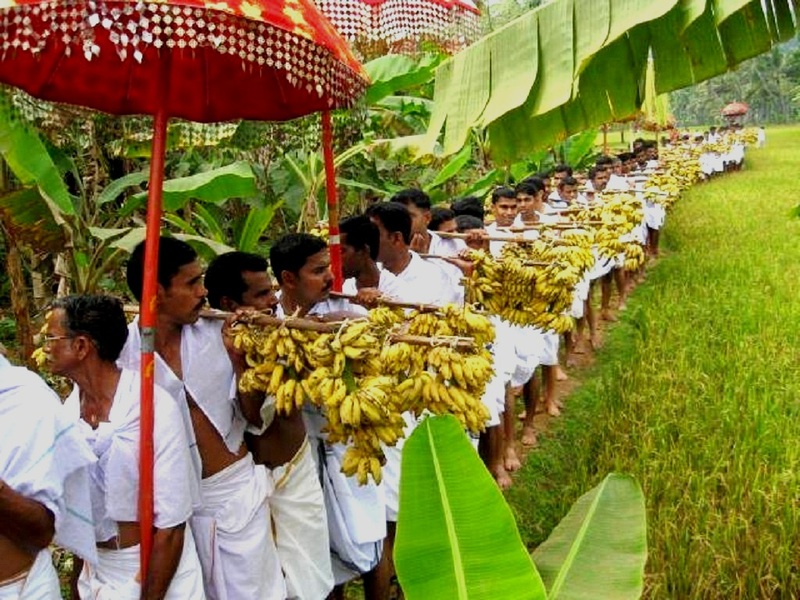 In this devotees will be carrying bunches of plantains from the nearby paddy fields to the temple. 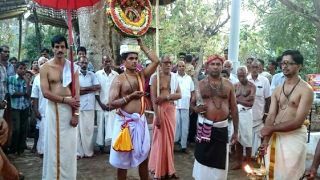 This ritual will be done on different days by various villages located near the temple. The main festival day will be on the 12th day. On this ghee will be brought from different parts of the district for neyyamritham, a ritual in which the ghee is smeared on the idol. Some of the ritual art forms performed during the festival are the Thudikotti Pattu, Theyyam padi pattu and Kuzhiyaduppil Nritham.